Our laboratory is housed in the MSB-II building which opened in September 2009 and provides state-of-the-art research laboratories. 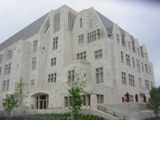 Also housed within MSB-II is the IU Stable Isotope Research Facility. Our lab has access to the facilities and properties of the IU Research and Teaching Preserve, including Sycamore Creek which is only 45 minutes from campus. 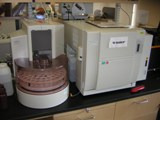 For analysis of greenhouse gases and sulfur hexafluoride, we have a Varian gas chromatograph with an electron capture detector, flame ionization detector, and thermal conductivity detector. 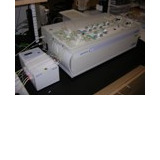 We use a Shimadzu TOC analyzer for determining concentrations of dissolved organic carbon (DOC). 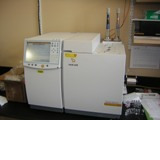 We have a Dionex ion chromatograph for analysis of dissolved ionic species, including low molecular weight organic acids. 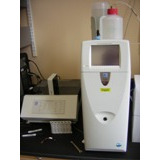 We use a Lachat flow injection analyzer for determining concentrations of dissolved nutrients, including nitrate, ammonium, and soluble reactive phosphorus.